Here’s the scenario: there’s a fellow in front of you wearing a little black dress. And he wants to know your thoughts on the transgender debate. You’re considering two possible answers. Which answer do you choose? Most Christians seem to be going with the second answer. It’s not without controversy – Red Sox legend Curt Schilling got fired from his ESPN job for arguing this point – but it’s nowhere near as controversial as the first. The second also has some clear advantages. It is shorter, and when it’s important to say things just so, brief is better. And it focuses on the safety of women and children, which is a hard point to object to. But it doesn’t mention the Bible or God. Some might think that another advantage. After all, our country has rejected God, so they don’t care what He says. If we bring up God, aren’t we just setting ourselves up to be ignored? Wouldn’t it be better to present neutral/secular arguments, to increase the odds that we’ll be heard? Secular arguments might be less controversial, but they have no foundation. They are based on a worldview that is insubstantial. Thus there is a very practical objection to relying on them: they can’t stand on their own. Already, we can see the shaky nature of secular arguments in our bathroom debates. 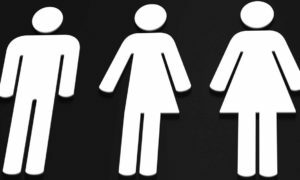 The US department store Target was hit with a one-million-signature petition protesting their decision to let transgender customers use the washroom of their choice. But as one commentator noted, the vast majority of Target stores have single-stall family restrooms. If we’re worried about the safety of our wife, or our children, then all we need to do is use these single-stall facilities. We can also predict that if we keep talking about safety the other side is going to counter with safety concerns of their own. They are going to start sharing stories about dress-wearing guys who got harassed in the men’s washroom. Or, rather, we’re going to hear stories about dress-wearing boys, and crewcut girls who were hassled. If we’re all about safety, then what about these children’s safety? Canada’s recent past provides an even better example of the shortcomings of the purely secular argument. During our country’s gay “marriage” debate I did a presentation in one of our churches and asked the audience to list all the best arguments for our side. We came up with a half dozen or so, and some in the crowd seemed to get worried when I rebutted all but one of them. The reason I could do that is because all but one of them were based on secular reasoning. I could slap them down as quickly as they were raised because they were all built on this quivering, crumbling secular foundation. Christians rose to the defense of tradition, and democracy, and stood against judicial activism, but how often did we speak about God’s perspective? So we lost. And we lost, in part, because the arguments we were relying on simply didn’t measure up. They couldn’t stand on their own. But there is a still bigger problem: secular arguments don’t fight the battle that really needs to be fought. That’s the real fight. That’s the truth they are attacking, so that’s the truth we need to defend. So how do we get at it? We begin with God. We lead with Him and His truth. The world doesn’t want to hear about Him, but He’s what they need. Canada’s gay “marriage” debate provides a good example of how a good Christian defense can look. During the 2004 election a Christian Heritage Party candidate I was working with gave his riding a solid Christian defense of marriage. Ed Spronk sent a brochure to every household that presented God as the Standard-Maker. Spronk explained that if we abandoned God’s standard for marriage then soon enough we would be left with no standard at all. He then shared news items from around the world to show how this was already happening, with people marrying multiple spouses, marrying objects, and even marrying themselves. Spronk didn’t win the election, but he was heard – his brochure was the talk of the riding. Here’s what God says on this matter. What God says is true, so we’ll see supporting evidence in the world. Here’s some of that evidence. A few of the illustrations he presented were the exact news items other Christians were using as standalone secular arguments. For instance, many were pointing to the woman who married herself as an example of what would happen next if we let gay “marriage” happen. But the response to this as a standalone argument was mixture of apathy and disbelief: “Who cares?” and, “It will never happen.” Once again the secular argument couldn’t stand on its own. Spronk used this same incident, with a difference: he placed it on the firm foundation of God’s truth. He started by explaining that it’s God Who defines what marriage is and isn’t. Then Spronk used this self-marrying single lady as an example of the craziness that ensues when we deny God’s standards for marriage. It supported his main point, but it wasn’t his point. It was simply one bit of supportive evidence and his core argument – his explicitly Christian argument – would continue to stand with or without it. I began this article began with two possible answers. The first might not look all that similar to Ed Spronk’s traditional marriage defense, but it actually has the same basic structure. Sproink’s and this first answer are both built on an explicitly Christian foundation, and both then stack supporting evidence on top of that Christian foundation. Here’s what God says on this matter: your feelings can’t determine your gender; I do. What God says is true so we’ll see supporting evidence in the world. Here’s some of that evidence: examples of when our feelings have run counter to reality, without ever changing it. This is what a good Christian argument looks like. We need more like this. 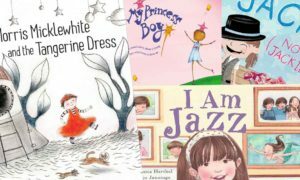 I’m writing regarding the recent article series you had on children who say they are transgender and want access to surgeries and puberty suppressing drugs. Men obliterating the women’s records in weightlifting, shot-put, high jump, etc. and etc. 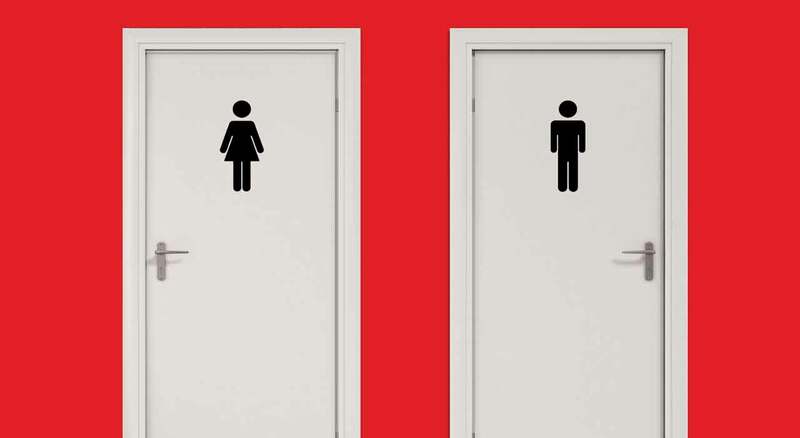 Here the bathroom argument serves as just one bit of supportive evidence for our overall argument that God determines our gender, not our feelings (and if we reject God’s sovereignty over gender, then craziness will ensue). The structure is again the same as we saw with Ed Spronk: our foundation is what God says on the matter, and then because we know that what God says is true, we are able to find supportive evidence in the world around, so we share some of those examples. When we present God’s truth to an audience we don’t need to hit them with a sermon – we can be brief. But God’s truth needs to be our foundation. The battle we’re in isn’t about bathrooms. It’s about God, and how He determines our gender, and all of reality. That’s the truth that’s under assault, so that’s the truth we are called to defend. May the Lord grant us the courage to fight where the battle rages. Bear in mind that just because you lose an argument it doesn’t mean that you are wrong. Certainly true. But the irony here is that Christians are avoiding mention of God (even as they argue for God’s standards and His morality) because they think that the more winnable approach. But it turns out that approach not only robs God of the glory He is due, the approach is a losing one because any arguments of this sort have no firm foundation and are, therefore, so very easy to undermine and demolish. In other words, Christians, in the hopes of winning, are avoiding mention of God. But in avoiding mention of God they are presenting arguments that can’t help but lose in the long run.